“Die Hard Dracula” is an incompetently made movie on every level. The editing is jerky and feels devoid of continuity, the writing is bizarrely inconsistent in tone, the costumes and makeup are ridiculous, the effects are garbage, and all of the acting is either cartoonishly over-the-top or non-existent. An interesting thing I noticed from digging around on the web is that “Die Hard Dracula” is clearly one of those movies that no one knew how to market (and not just because it is horrible). If you look at any of the posters or covers for the movie, they all portray a typical vampire horror movie. However, the tone of the movie is oddly light-hearted, and at times is a full-on spoof of “Dracula” and vampire movies in general. At the same time, it doesn’t go quite so far as to be a “comedy”, so it would be deceptive to market it as such without acknowledging the attempt at horror. I’ve noticed this same trend with other movies that mix styles (whether they are good or not). It is difficult to easily pitch or sell something that has both genuine horror and comedy elements. In this case it didn’t matter all too much, because the movie is astoundingly horrible all-around and fails to blend the genres successfully. However, this problem does affect good horror-comedy movies of recent years like “Cabin in the Woods” and “Drag Me to Hell”. 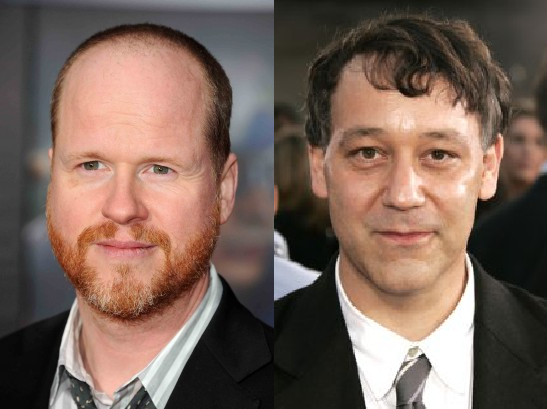 Managed to drag both Joss Whedon and Sam Raimi into this. I can’t say for sure, but some of the comedic moments in “Die Hard Dracula” seem forced enough that they might have been added in after the fact, perhaps once everyone realized how bad the final product was going to be. In particular, the ending feels very unnatural, jarring, and improvised. Then again, most of the movie feels oddly edited and confusing, so the ending almost blends in. I’m not sure if this is a case where the sudden, whiplash-inducing tone shifts between horror and comedy were intended from the original script, or if they are the results of a flubbed attempt to salvage/redirect the movie. In any case, the writing and editing crash together to turn the film into a complete cinematic wreck. Even if all other elements were average or better, this film would have been a failure due to those aspects alone. Fancy trim on a poorly constructed house isn’t going to make for a good home, after all. Unfortunately for the film, not even the trim-work looks good in this mess. 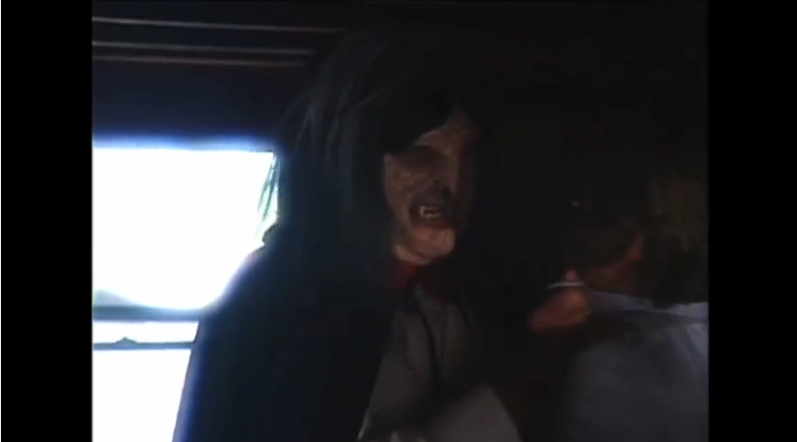 If you are going to make any kind of horror movie, you absolutely must be able to do makeup and practical effects (unless your name is Uli Lommel and you don’t have standards). 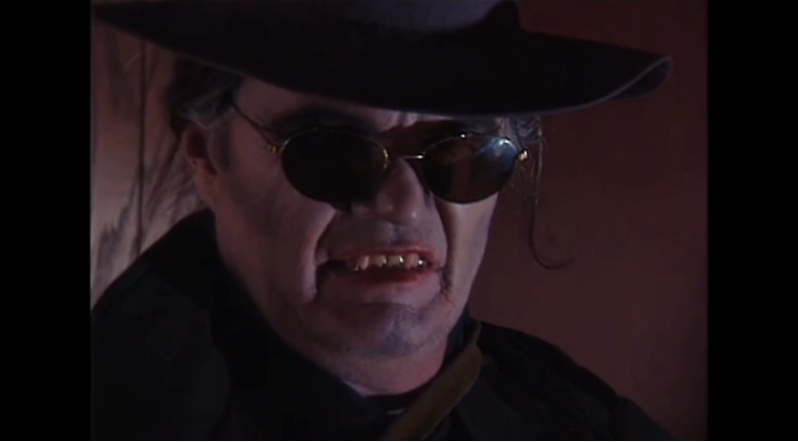 “Die Hard Dracula” not only has horrible makeup on Dracula, but it fails to be even remotely consistent with his appearance. The closest thing I can liken Dracula’s ever-changing appearance to is how Jason changes his appearance under the hockey mask from one “Friday the 13th” movie to the next. As you should probably expect, the acting in this movie is generally horrible. There is one notable exception: Bruce Glover (“Diamonds Are Forever”) plays Dr. Van Helsing, and is the one saving grace of the movie. He chews the scenery like he is sucking life force out of the props, and actually makes the movie watchable while he is on screen. His performance is perhaps the only reason I might consider recommending this movie. 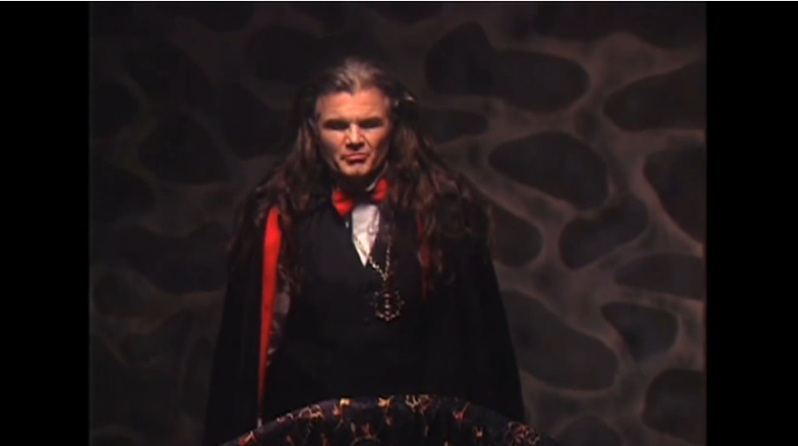 He is at the very least a breath of fresh air next to the fellow playing Dracula. Ugh. I have really only scratched the surface of the landfill of garbage that is this movie. There are flying special effects worthy of “Pumaman”, and a flying coffin sequence that will make you cringe. Dracula even shoots lightning out of his hands like Emperor Palpatine at one point for some reason. You may notice that I have managed to avoid the plot of this movie so far. That was quite intentional. Honestly, there isn’t an easy way to sum it up sensibly. There is a young man who watches his girlfriend instantly drown in a water skiing accident, after which he goes backpacking in Europe to grieve. He makes a vague wish upon a star that resurrects a drowned woman in eastern Europe. Meanwhile, Dracula exists and starts creeping out the drowned woman’s town. Protagonist-man shows up in the town while back-packing, falls in love with the formerly drowned woman, and volunteers to help Van Helsing kill the local vampire menace. 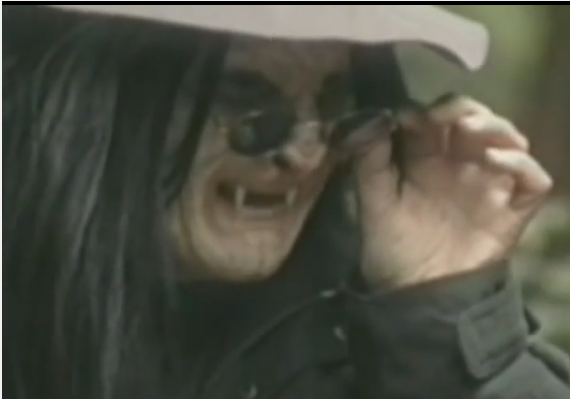 Shenanigans ensue as Van Helsing repeatedly fails to vanquish the vampire to comedic effect. Ultimately, Dracula turns everyone into vampires and they live happily ever after for eternity. It is all pretty much nonsense. The thing that really gets me about this movie is that I can’t decide if I hate it or love it. It is incompetent on every possible level, and fails miserably at everything it sets out to do. The pacing slows down quite a bit, and there isn’t much entertainment value to be had, but I can’t help but enjoy it in retrospect. I feel similar about this movie as I do about “Leonard Part 6” I suppose: it is a rare case where I enjoy a failed comedy, in just how miserably it fails to be comedic. I also just love Bruce Glover’s performance, which is probably the tipping point for me. I definitely recommend checking out the trailer above: if that seems like something you might enjoy, then check it out.